If you’d like to make a Summer statement, jewelry is just the thing to do it for you. And, if you’re planning on giving a jewelry gift, the right piece can say a thousand words. Some “Summer statement gems” from Gemvara show a variety of unique and customized jewelry for special occasions, as well as fun gems to dress up any kind of attire. 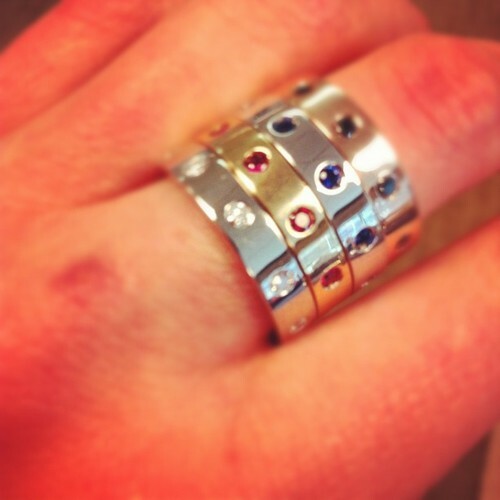 We found Gemvara’s blog that displayed some great gift ideas, and ways jewelry is worn. 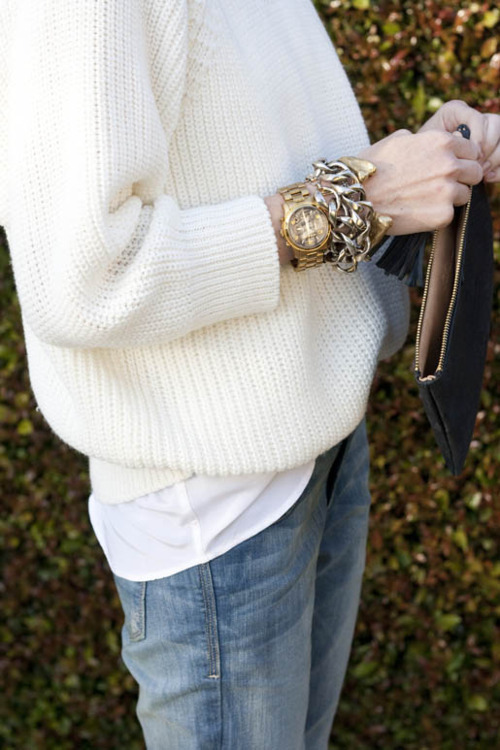 In one image, we see that some women like to mix up a wrist watch with some bracelets for a dramatic casual look. 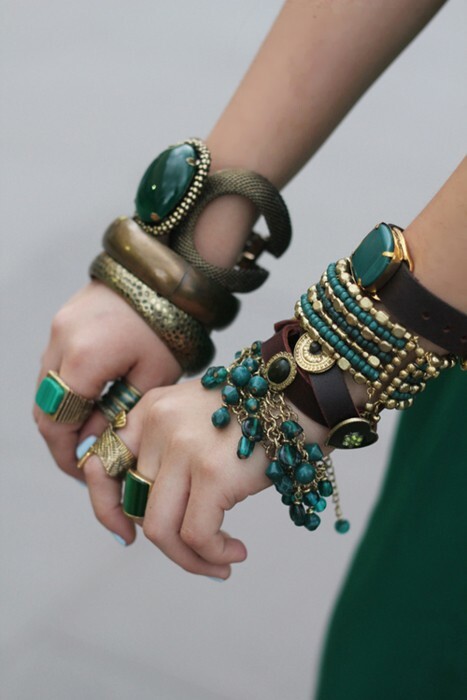 Emerald accessories seem to speak even louder, especially when matched up with other emerald gems layered on the arms and stacked on fingers. Around the neck, a combination of gold and pearls are brought together for a statement that says this woman is styling. 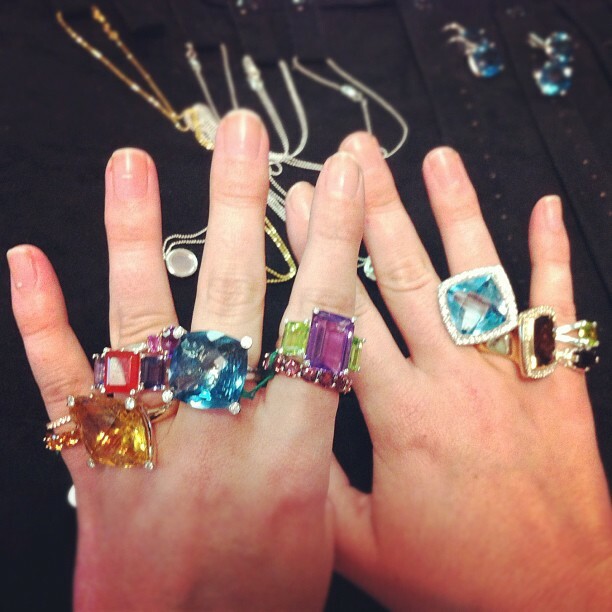 The colorful gems that glisten on ears, necks, arms, or fingers can be fun and glamorous at the same time. The Zoe band is the type of ring that women can stack on a finger for more drama. These come in platinum, sterling silver, gold, and white gold, with mixtures of pink or white Sapphire, Aquamarine, Blue Topaz, Peridot, Amathyst, Ruby, Tourmaline, Emerald, Black Onyx, Citrine, diamonds, and more. Gemvara’s newest collection Alexandrite has birthstones that change colors and give you “two vibrant personalities in one amazing gem.” This collection includes pendants, earrings and rings that can make a statement from the top down. Whatever type of jewelry is worn, and whichever event it is used for, it is a way to show people your individuality. This applies to jewelry worn at work to jewelry worn at fancy events. 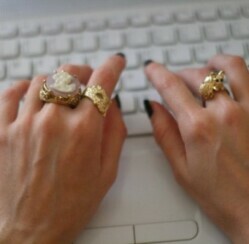 Who knows, that piece just might end up telling a story to the bearer or the wearer, and shared for lifetimes to come. Wow I love all the great stuff. The vibrant colors and elegant style are pefect compliment to the summer fashions, and all in one place thanks for keeping your site so up to date.